Managing Director of Viswapriya (India) Limited R Subramanian, 49, was arrested on Saturday by the Economic Offences Wing (EOW) of the Tamil Nadu Police for his alleged involvement in a cheating case. His company has allegedly fleeced about 4,000 investors of Rs 150 crore or Rs 1.50 billion, according to EOW sleuths. The company was formerly known as Viswapriya Financial Services and Securities Limited. Investigators said the accused had collected money from the public under various schemes, including fixed deposit and debentures. Subramanian, an alumni of Indian Institute of Technology-Madras and Indian Institute of Management-Ahmedabad, joined Citibank after his studies but quit within 15 days. He later joined Royal Enfield but quit after two years to start his own venture. His first venture was Viswapriya, a financial services company, which brought him money. He later launched Subhiksha, a retail chain. In March 1997, Subhiksha opened its first outlet in Chennai with an initial investment of $1 million. By March 1999, the company had 14 stores in Chennai and by mid-2000, the number increased to 50. The company expanded its operation to other states and by 2006, it had 420 stores. Subhiksha had outlets in Gujarat, Delhi, Mumbai, Andhra Pradesh and Karnataka. By October 2008, the company had emerged a major player with 1,600 outlets, selling groceries, fruit, vegetables, medicines and mobile phones. Azim Premji of Wipro Group, who used to praise "the young man" for his business acumen and had also invested in the retail chain, but later accused him of hasty decisions. According to earlier reports, Premji's investment firm had picked up around 10 per cent stake in Subhiksha for over Rs 200 crore or Rs 2 billion. Other investors such as ICICI Ventures and Kotak Mahindra had also disputes with him. Subhiksha failed because it expanded fast with thin or zero margins. There was a mismatch between cash outflow and inflow. Its debt mounted to Rs 750 crore or Rs 8 billion and in October 2008, the company ran out of funds. Its turnover grew from Rs 330 crore in 2005-06 to Rs 833 crore or Rs 8.33 billion in 2006-07, and then to Rs 2,305 crore or Rs 23 billion in 2007-08. 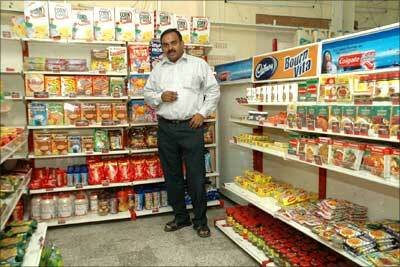 In 2009-10 it was looking at a turnover of Rs 4,300 crore from 2,300 stores, said an earlier report. In September 2008, Subhiksha faced difficulties in operating its stores. The company had reportedly defaulted on payments to its vendors who refused to replenish supplies. The company also failed to pay salaries to its employees. On February 11, 2009, Subhiksha announced that it was closing down all its 1,600 outlets till May 2009. While the management claimed that the financial problem was due to its inability to raise enough equity capital; analysts said the retailer had expanded rapidly during the last three years and supply chain management practices were flawed. According to police, the total investment in Subhiksha was around Rs 1,200 crore or Rs 12 billion. Winding up petitions against Subhiksha was filed by Kotak Mahindra, to which Subhiksha owed around Rs 40 crore. ICICI Bank, lead banker for Subhiksha, stated the company had an exposure to the tune of Rs 870 crore or RS 8.70 illion to banks, Rs 107 crore or Rs 1.07 billion to unsecured lenders and Rs 250 crore or Rs 2.50 billion reserves, which none of them know where it went. Besides, there were loans/advances to the tune of Rs 119 crore or Rs 1.19 billion. It was in a later stage the issues related to Viswapriya firm started. According to the EOW officials, the company has been operating from 1991 to 2013.